Down by the waterside, on the eastern side of the harbour, this lively bar/restaurant takes its name from the Bulman Buoy (a well-known local maritime landmark). The 200-year-old inn stands beside the old Fort Charles garrison, just a stroll from the centre of Kinsale, and is a highly popular destination for locals and tourists alike. 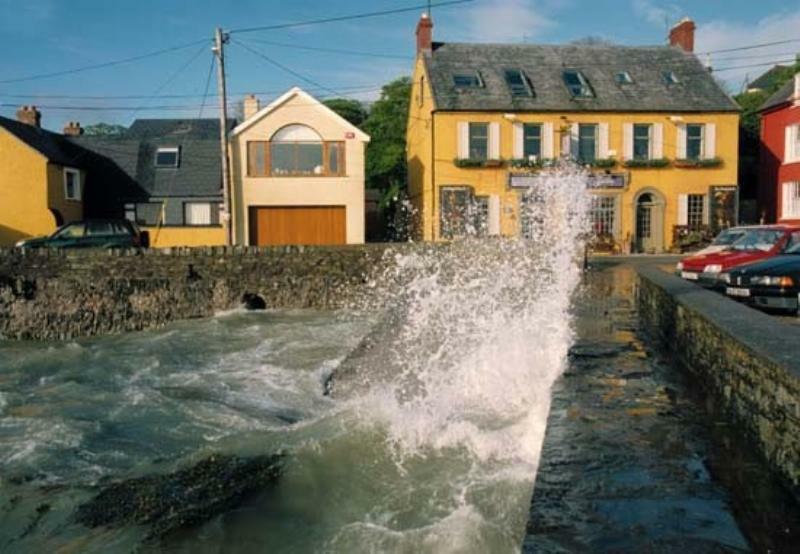 The place is owned by Pearse and Mary O'Sullivan, who made their name at Toddies restaurant and bar above Kinsale's enterprising microbrewery. The restaurant is named after Pearse's grandfather, Toddie O'Sullivan, who was a legendary figure in Irish hospitality. It is a welcoming venue with exposed stone walls adorned with colourful pictures, tables are simply laid set on polished wood flooring, and the windows offer stunning views of the harbour to Kinsale. The concise menu looks to seasonal ingredients for inspiration with seafood showing up well in the shape of Trinidad style crab gratin with chilli, lime and coriander or Toddies lobster risotto. Meat lovers can choose dishes such as skewered chicken with peanut sauce and Wasabi coleslaw or a 10oz char-grilled rib-eye steak served with parmesan mash, onion rings, garlic and herb butter. For dessert there could be fruit crème brulée, or sticky toffee pudding.